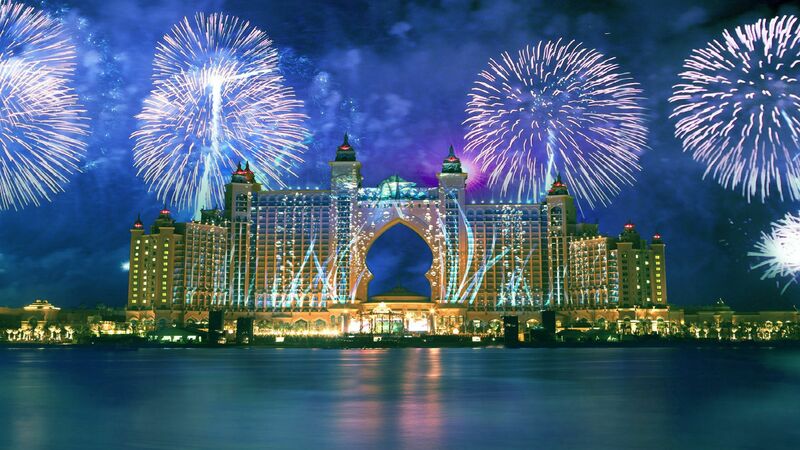 3 Days Dubai Airport Layover Tours. Book 2 Nights Dubai Layover Tour Package and Enjoy 3 Days in Dubai to Visit Burj Al Arab, Jumeirah, Dubai mall & Burj khalifa With Accommodation, Tours and Return Airport Transfers Included. - Meet in Dubai airport then transfer to your hotel in Dubai. - Optional 2 hours Dhow Cruise trip in Dubai Creek with dinner. - Overnight in Dubai hotel. - Morning pick up after breakfast for traditional Dubai half day city tour . - Afternoon jeep Safari excursion in Dubai desert with BBQ Dinner. - Back to your hotel and overnight in Duabi. - Transfer to Dubai airport for the departure flight. Umm al Quwain is one of the 7 sovereign emirates in the UAE, located in the north of the country. It is located in between Ras Al Khaimah and Ajman, along the west coast of UAE, the emirate is the smallest in the UAE, with a land area of 750 to 800 square kilometers. It is located along the vital trade route between Asia and India. Sharjah is the third largest emirate in the United Arab Emirates (UAE) and is the only one to have land on both the Persian Gulf and the Gulf of Oman. Sharjah is a sister city to Dubai and Ajmân on both its borders. The three urban areas have now expanded to each other's borders. Sharjah is about 170 kilometers away from the UAE capital city Abu Dhabi. Saadiyat is just a five-minute drive from downtown of Abu Dhabi, 20 minutes from Abu Dhabi International Airport and one hour from Dubai. It can be reached by two major highway bridges linking it with the mainland. It is a large, low lying island 500 meters off the coast of Abu Dhabi island and is currently under development. Ras Al Khaimah has earned its reputation as a pre-eminent commercial center with an innovative, dynamic, & entrepreneurial business culture. It consists of a northern part (where the city of Ras al-Khaimah is situated), a large exclave in the south & few small islands in the Persian Gulf. Ferrari World is a Ferrari themed amusement park on Yas Island in Abu Dhabi. The world’s first Ferrari theme park and the largest attraction of its kind. The park tells the Ferrari story with passion and excitement through more than 20 exhilarating and educational rides and attractions, interactive shopping and authentic Italian dining experiences. Bastakiya is a historic district in Dubai, United Arab Emirates. Together with Al Shindagha, Bastakiya is one of the oldest heritage sites in Dubai and the last wind tower quarter left on the Arab side of the Gulf. Its name is derived from the Iranian town of Bastak, from where many of Dubai’s first trading immigrants hailed in the early 19th century. Al Ain Oasis is the largest oasis in Al Ain city within the Emirate of Abu Dhabi. Al Ain has seven oases; the smallest is Al Jahili Oasis. The rest are Qattara, Al Mutaredh, Al Jimi, Al Muaiji, and Hili. Al Ain is located north of the Al Mutawa'a district & east of Al Jhali district, the main central district of Al Ain is to the north, with the Oman border to the northwest. Ajman is the smallest of the seven emirates that make up the United Arab Emirates (or UAE). Ajman is the smallest emirate by area. Its seat of government is Ajman, which is bordered on its north, south, and east by Sharjah. Ajman is ruled by Humaid bin Rashid Al Nuaimi of the Al Nuaimi tribe. The Crown Prince of the Emirate is Sheikh Ammar bin Humaid Al Nuaimi. Abu Dhabi, garners less worldwide attention than its neighbor, the flashy, rapidly developing city of Dubai. However, Abu Dhabi is actually richer than Dubai and has monitored its growth carefully, with an emphasis on the arts and preserving the city's heritage. It is the capital and the second largest city of the United Arab Emirates. Overnight Dubai Stopover Tour. 2 Day Dubai Stopover Tour Packages to Dubai With Transfers, Tours & Accomodation Included. Book Dubai Airport Stopover Tours to Burj Al Arab, Palm Jumeirah, Dubai mall, Burj khalifa and More. Best Dubai Family Holiday Packages. 6 Day Dubai Family Packages to Dubai, Abu Dhabi, Al Ain and Sharjah. Book Private Dubai Family Vacation Packages 5 Nights to Explore Dubai Dubai Museum, Fujairah, Burj Al Arab, Burj Khalifa, Abu Dhabi, Sharjah & Moe. Luxury and Budget Dubai Mini Breaks, Private and Group City Breaks Dubai. Selection of Things to do in Dubai on a Budget and Cheap Breaks to Dubai. There are actually many reasons to visit Dubai, it enjoys some of the most luxurious hotels, malls and attractions in world.